LIXIL Group focuses on making a positive social impact in priority areas such as global sanitation and hygiene, water conservation and environmental sustainability, and diversity and inclusion, as well as areas where our expertise can make the biggest difference. The “Endowments and Consulting Review Committee,” which our CEO serves as a member of, is held on regular basis to screen, assess and prioritize significant donations and sponsorships to ensure our profits contribute to society appropriately and effectively. *Monetary and other contributions have been collected and categorized in accordance to the London Benchmarking Group Guidance Manual (June 2015). In 2017, we started LIXIL Community Day, when executives and employees from all workplaces and regions around the world take part in social contribution activities during working hours based on the three priority areas in the LIXIL Group’s Corporate Responsibility strategy. In the first year, approximately 3,500 employees from 15 countries took part worked for a total of 8,625 hours in 70 diverse projects, including installing hygienic toilet facilities in schools and homeless shelters, renewing barrier-free street maps, and offering plumbing training to help conserve local water resources. The projects had a positive impact on the lives of over 16,000 people. LIXIL Corporation regularly holds community dialogues with local stakeholders (such as local government officials, business owners, residents etc) on how we can contribute back to the community. These are held at factories, sales and retail bases around Japan. 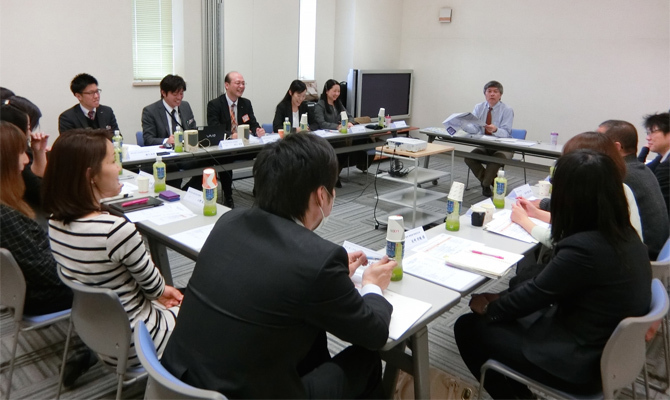 In FYE2018, LIXIL Corporation held community dialogues at 11 locations in Japan, attracting over 90 participants. Over the past six years, we have held over 110 community dialogues in total. UNICEF Working together to promote safe sanitary facilities in Africa. Japan International Cooperation Agency (JICA) Promoting field trials of the water-saving Micro Flush Toilet System in Kenya. WaterAid Cooperating to improve the lives of people living in areas without hygienic toilets, in addition to collaborating on a white paper that analyzes the socioeconomic losses associated with underdeveloped sanitary environments. Toilet Board Coalition Helping develop sustainable, large-scale potential sanitation solutions as a founding member of the multi-industry group. NIJIIRO DIVERSITY Conducting awareness surveys with the nonprofit organization to identify the issues LGBT and other sexual minorities encounter when using public toilets, with the aim of providing a comfortable toilet space for all.